Wolfville, N.S. (October 29, 2017) – Eight Filmmakers from around the globe have become the winners of the coveted Golden Tine Awards as the seventh edition of Devour! The Food Film Fest comes to a close in Wolfville, Nova Scotia. 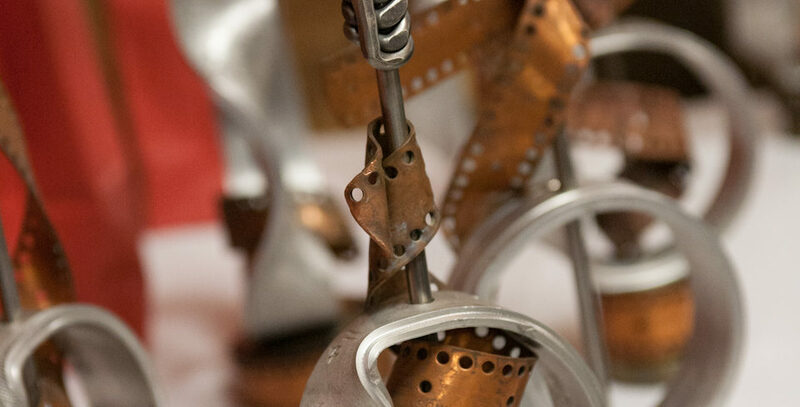 8 filmswere selected from 68 contenders – each featured throughout the five-day festival. Festival directors, Michael Howell and Lia Rinaldo, along with a savvy group of industry representatives announced the winners this afternoon at the Golden Tine Awards Brunch held at Wolfville Farmers’ Market. Shingo Usami received the Golden Tine Award in the Best Short Drama category for Riceballs, a film built on small moments around food for a father and son. Best Short Documentary went to Patrick Bresnan for The Rabbit Hunt which follows a family on a rabbit hunt as sugar cane fields are being burned. Best Animation went to Fabio Friedli’s In a Nutshell, a clever and creative film that makes unexpected but legitimate links. Strawberry Days, directed by Wiktor Ericsson, won Best Feature Drama for shining an intimate light on a part of the food industry we don’t often see up close; and Jiu-liang Wang’s Plastic China won Best Feature Documentary for tackling a massive global issue and bringing it right down to a human, in fact child size, level. Honourable mentions go to Aube Giroux for her film Modified and Kevin Kossowanfor his short, Kill Day. The jurors were impressed by the way Giroux’s film wove together a political and personal story, ambitiously assembling an assortment of footage and techniques from home movies to interviews. The Devour! jury was incredibly moved by Kevin Kossowan’s Kill Day. Never has a butcher so eloquently summed up the somewhat conflicted, ongoing struggle to put ethically sourced meat on the table. Kossowan takes a topic so many people would rather look away from and brings it to life in a very poetic and poignant way. Devour!’s panel of jurors was led by Gary Meyer, whose expertise and critical eye determined who took home the Golden Tine Award in each category. Other jury members on the panel include Janet Hawkwood and Sarah Musgrave. The Nourish Nova Scotia Youth Food & Film Challenge winner was also awarded at today’s brunch. Presented by CBC’s Tom Murphy, Christelinda Laureijs took home the $500.00 prize to support a healthy eating initiative in their school/community for her film, Food for the Planet. Laureijs was also gifted a brand-new CBC prize, a $500 GoPro Kit. Festival organizers are wrapping up the most successful event to date with a record number of sold out events. Devour! had exceeded sales of last year’s event before the box office officially opened its doors Wednesday morning. Stay tuned for details on the eighth edition of Devour! The Food Film Fest at devourfest.com. And don’t forget to mark your calendars and book your accommodations for the eighth edition of Devour! coming at you October 24-28, 2018. Only one hour from Halifax and Stanfield International Airport, is the agricultural heartland of eastern Canada, a thriving wine region and the home of Acadia University, one of Canada’s pre-eminent educational institutions. A rich cultural landscape infuses the region and its people with a respect for the riches around us. No place could be more perfect as the home of Devour! Devour! The Food Film Fest recognizes the support of the Province of Nova Scotia. We are pleased to work in partnership with the Department of Communities, Culture and Heritage to develop and promote our cultural resources for all Nova Scotians.